Living a Fit and Full Life: Get Beautiful, Healthy Hair with Sauce Beauty! Take your senses to the islands with this moisturizing shampoo infused with tropical fragrances of coconut milk, jasmine, and honey. The perfect recipe for marinating your hair in moisture! Works best for fine to medium hair texture that is healthy and not processed. Douse your hair in lightly moisturizing buttermilk, Greek yogurt, and shea butter, without weighing hair down. Hair hates wilting, too! Get beautiful, healthy hair with Sauce Beauty! Sauce Beauty is a brand I just discovered and I'm head over heals in love. Sauce Beauty products are inspired by iconic recipes from kitchens around the globe with crafted formulas and proven ingredients. 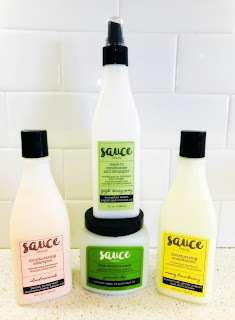 Sauce Beauty's moisturizing shampoo island marinade is awesome! It smells amazing and does a terrific job to cleans my hair. I have pretty fine hair that tends to try to fly away when dry. After just one use I noticed my hair was tamed. It adds shine, leaves my hair smelling amazing and even adds moisture without weighing my fine hair down. Sauce Beauty's moisturizing conditioner creamy house dressing smells heavenly! After using this conditioner my hair had amazing shine and felt softer than ever. This is a terrific conditioner! deep moisture mask guacamole whip from Sauce Beauty is my new favorite hair mask. It not only hydrates my hair but repairs damage. After just one use, I was completely hooked on this hair mask! My hair looked amazing and the frizz was totally gone. If you want to have good hair days, this product is a must have! 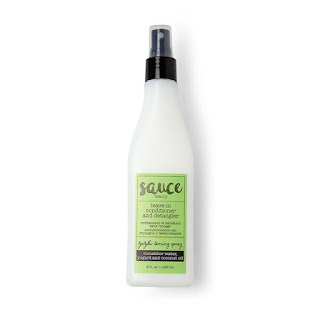 Sauce Beauty's leave-in conditioner and detangler tzatziki taming spray is the perfect detangler! I have three girls with long hair, so a good detangler is a must in my house. This stuff smells incredible and makes tangles a battle of the past. It's so much easier to brush and style my girl's hair when I use this in their hair. I also love it for my hair because it helps it to look shiny and controls frizz. 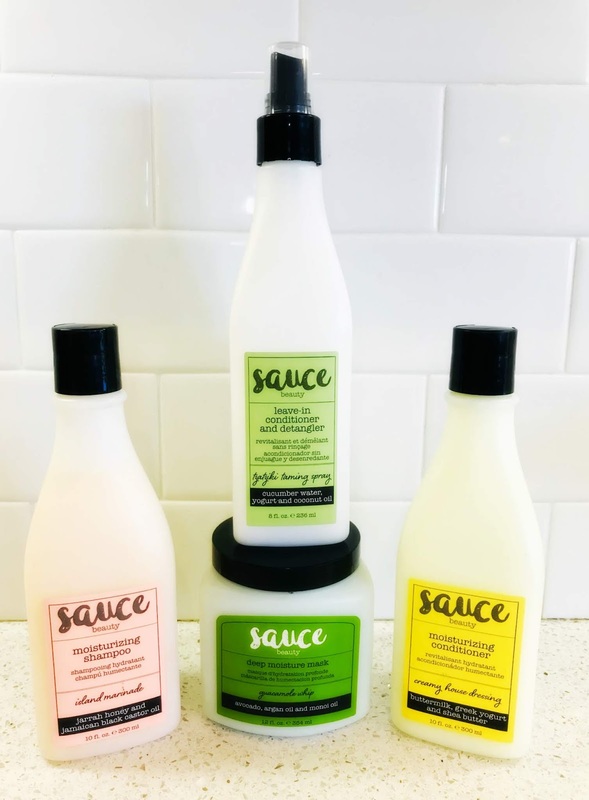 Sauce Beauty has everything you need to get beautiful, healthy hair! Click HERE to find a store near you that sells Sauce Beauty! 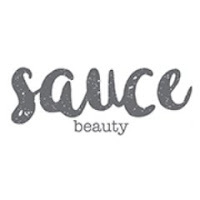 Click HERE to learn more about Sauce Beauty! Follow Sauce Beauty on social media!